Within the Customer Portal, you can view your submitted tickets and send new responses in the Tickets area. Once you have logged in, go to the Tickets tab. In your ticket history of previously submitted tickets, you can see the ticket number, subject, created date, last updated, and ticket status. Click on a ticket to view it individually. 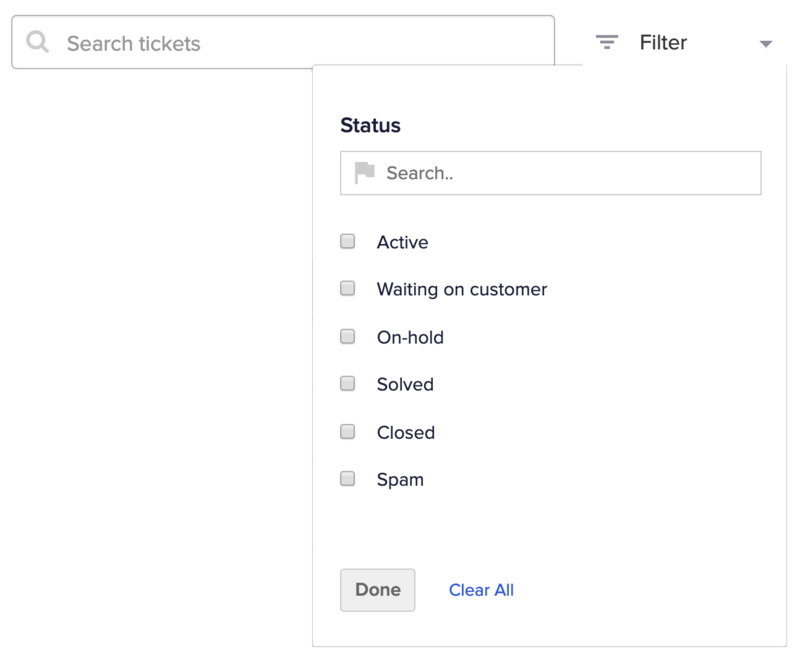 In the top right, you can filter your ticket history by status, as well as use the search bar here to find tickets. 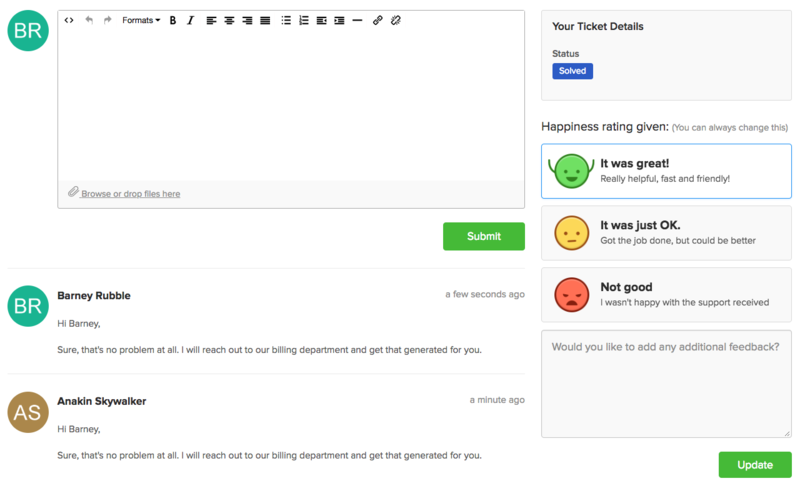 When viewing an individual ticket, you will see a thread of the previous replies on the left, as well as a text editor to submit a new reply. In the top right, you will see the ticket's status, and any other ticket details that have been enabled. If you have completed the happiness survey received for a solved ticket, your rating will show on the right. You can update your rating here. Depending on the settings on your customer portal, you may also have some additional options. 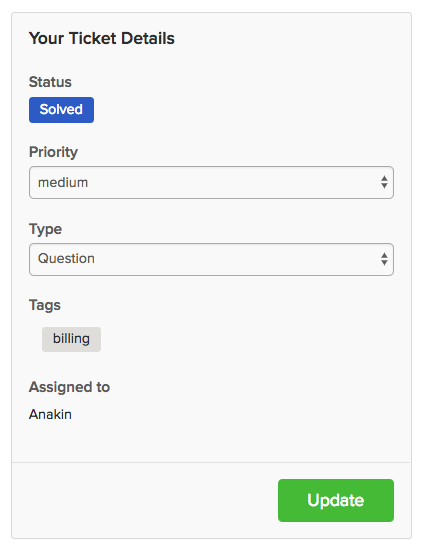 Marking tickets as solved - if you have permission, you can mark a ticket as solved when submitting your reply, using the checkbox below the reply editor. You may also be able to view and update additional ticket details, such as priority, type, tags and the agent assigned. If you have permission to view company tickets in the Portal, you will also see a Company Tickets tab when you log in. Here, you can see a list of all tickets submitted by members of your company, as well as reply to these tickets.